Friends and relatives have paid their final respects to Nairnshire-born poet, animal lover and teacher Madeline Munro, who died at the age of 86. Miss Munro was born at New Fleenas, Ardclach, Nairn, the daughter of sheep breeder Donald Munro and his wife Marie. From Achnatone Primary School, she went to Nairn Academy then on to Edinburgh University where she took a graduated with a general MA, the first in the Munro family to do so. 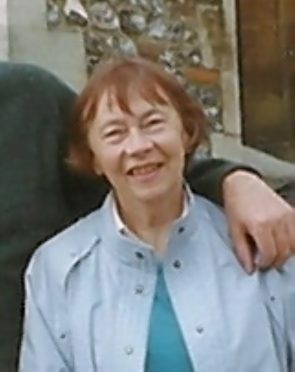 She taught English at Inverness Academy and Morayshire schools from the early 1950s to the mid 1960s before she and her older sister Marion, a primary school teacher, moved south in search of better prospects. They finally settled at Speldhurst by Tunbridge Wells in Kent. They led active lives with occasional teacher exchanges in America and many foreign holidays rambling and skiing. Miss Munro’s great passions were animal welfare and poetry. Both sisters, who never married, directed much of their energies to the benefit of animal welfare charities including Compassion in World Farming, for whom they lobbied parliament. From the 1970s, Miss Munro, a teacher-librarian at a Sevenoaks School in Kent, enjoyed some success with her poetry, winning national prizes and being published in numerous magazines. Some of her most highly regarded poetry was rooted in her experiences growing up on a Nairnshire farm. It was published first in The Chant: A Highland farm childhood in 1983 and again in Lanterns in Hand (2003) together with later environmental and philosophical poems. She was highly regarded among poets and writers, commended by JM Coetzee, DM Thomas and others. Her later work included Fee Fi Fo Fum: Poems to fight giants (1991 and 2008) which informs and protests unflinchingly about inhumane farming practices and double standards. Miss Munro had a keen interest in philosophy, the meanings of existence and in politics. From 2000, she cared for her sister who had suffered a stroke. Sadly the death of Marion in 2006 resulted in Madeline becoming more reclusive. Her latter years were clouded by the gradual onset of vascular dementia, which developed rapidly. Her nephew Donald said: “It was sad, indeed, to find the memory of this very lively independent-minded lady diminishing so quickly. Miss Munro died on June 8, and her funeral was held at Nairn’s United Reformed Church. Donations will go to Animal Aid, Compassion in World Farming and Mind.